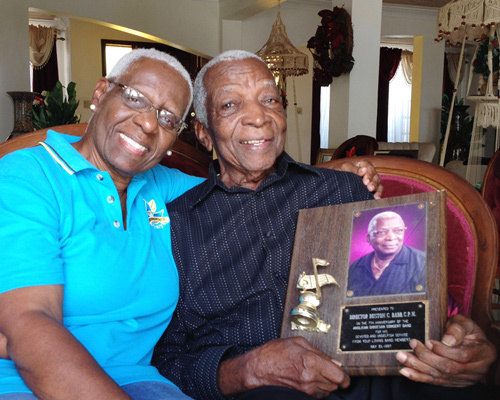 Rosemary Clarice Hanna photographed former Superintendent Dustan Babb for the Bahamian Project. 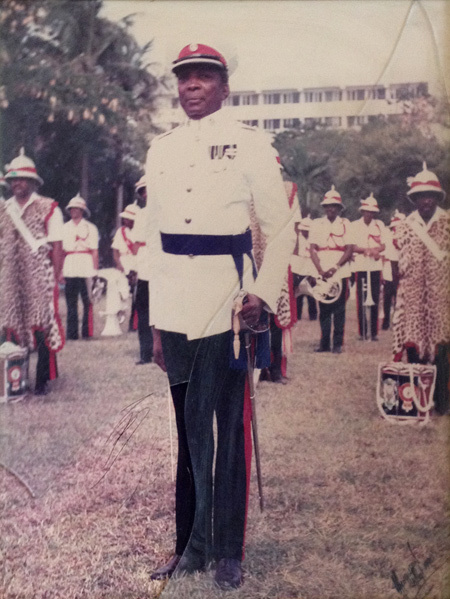 Mr. Babb was the bandmaster of the world famous Royal Bahamas Police Force Band for many years – a position for which he received numerous awards and accolades. Captions: (top left) Dustan Babb with Bahamian Project photographer Rosemary C. Hanna; (below) Supt. 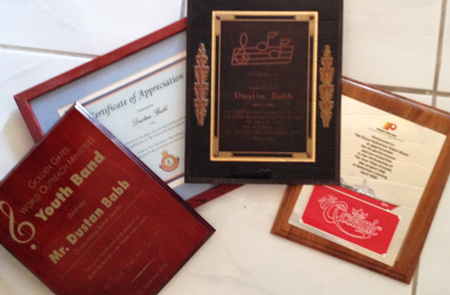 Babb as Bandmaster; (bottom left) Just a few of his many awards.